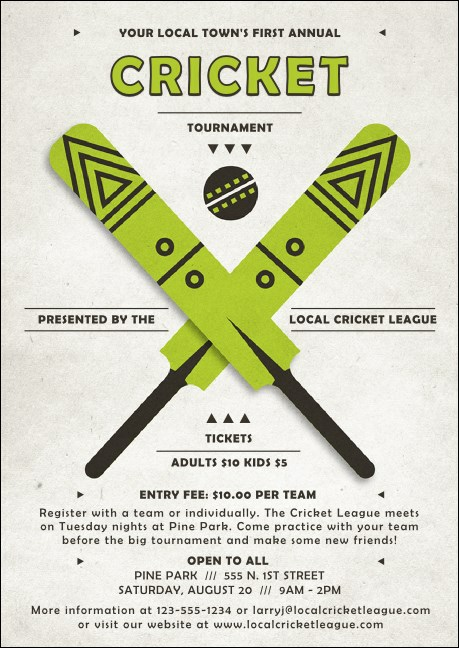 Get the word out with the Cricket Club Flyer! Succeed at the run-up to your event when you fill the 16 easy to edit lines with all the pertinent info potential guests could need. This cheery template features two lime colored, crossed bats along with an illustrated ball. Raise awareness of your team with the right club flyer from TicketPrinting.com!